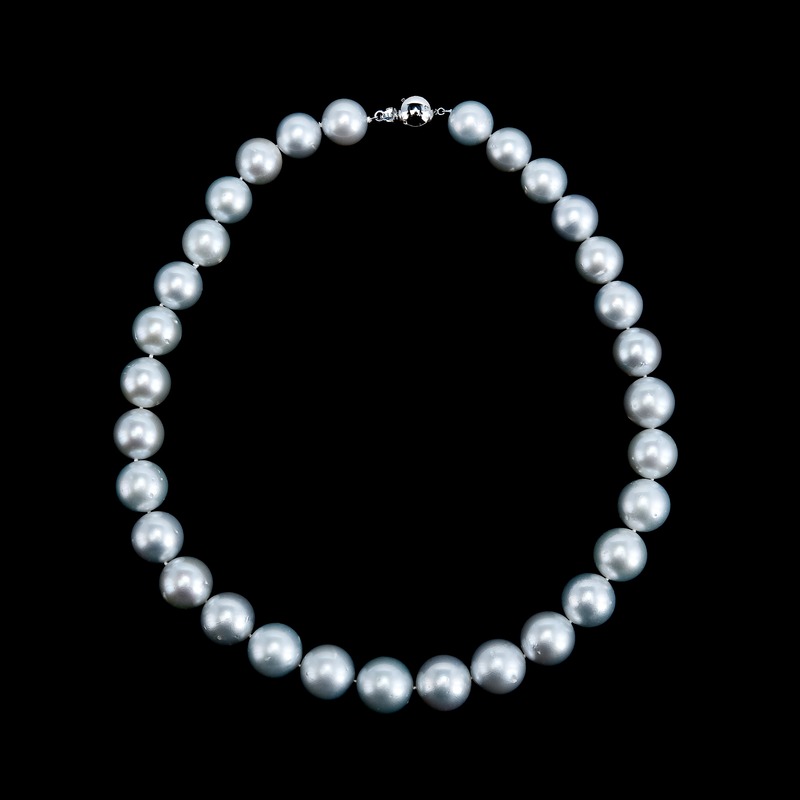 A NECKLACE, 31 South Sea pearls Ø 13 - 16 mm. Clasp in 14K white gold with 10 small brilliant cut diamonds. Length 46 cm.